Big Mountain Homes Arnegard is proud to be a retailer of KIT HomeBuilders West, LLC . Kit has been building homes in Idaho since 1945 and continues to provide families throughout the west with affordable and innovative homes. With a full engineering staff, KIT offers flexibility to customize our home designs to allow your dreams to become realities! Our staff at invites you to view Kit Homebuilders West contemporary design and innovative features, we are confident we can provide the right fit for your lifestyle. 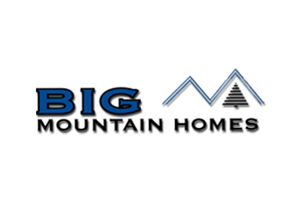 Big Mountain Homes Arnegard, we employ skilled craftsmen for every aspect of the installation of your new home. From the delivery of the new manufactured home, to the leveling of the building pad, anchoring of the structure, and completing all trim and finishing touches, Big Mountain Homes Arnegard takes the stress out of an otherwise complicated process. When saving time and money are of the essence, you can depend on the skilled representatives of Big Mountain Homes Arnegard. Big Mountain Homes Arnegard has many options for homebuyers to choose from to finance their new dream home including Vanderbilt Mortgage. Vanderbilt Mortgage and Finance, Inc.,’s mission is to help families achieve the Great American Dream of homeownership. Vanderbilt is a national housing lender specialized in Manufactured and Modular Homes, new and used. Vanderbilt has been helping families just like yours for over 40 years and currently service over 200,000 loans. Whether you are a first-time homebuyer, looking to downsize, have perfect credit or have less than perfect credit, Big Mountain Homes Arnegard has an option for You. We aim to provide the ultimate shopping experience for all homebuyers interested in a Kit Homebuilders West. In order to make it as fun and easy as possible to find your new home, we offer revolutionary 3D Home Tours on select floor plans. These unique and innovative virtual tours allow you to step inside a home and explore the space with a 360 degree view from any vantage point. To start your search, click on the “Floor Plans” tab and keep an eye out for the 3D Tour designation when browsing floor plans. Simply click the thumbnail to experience this one of a kind shopping experience. Everyone at Big Mountain Homes is wonderful, but especially outstanding is the salesmans. They had the answers to my questions, the solutions to my problems and was always professional and beyond that - cheerful!